/ Modified apr 10, 2018 4:30 p.m. Projects fill the exhibit hall of the Tucson Convention Center at the Southern Arizona Regional Science and Engineering Fair. March 31, 2017. Science will take center stage at several events in Tucson this weekend. 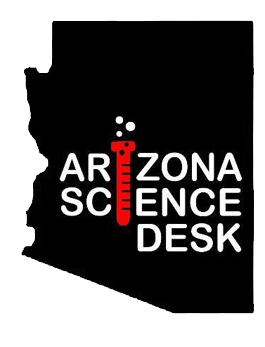 For the 63rd year, the Southern Arizona Regional Science and Engineering Fair will feature student projects from throughout the southern half of the state. 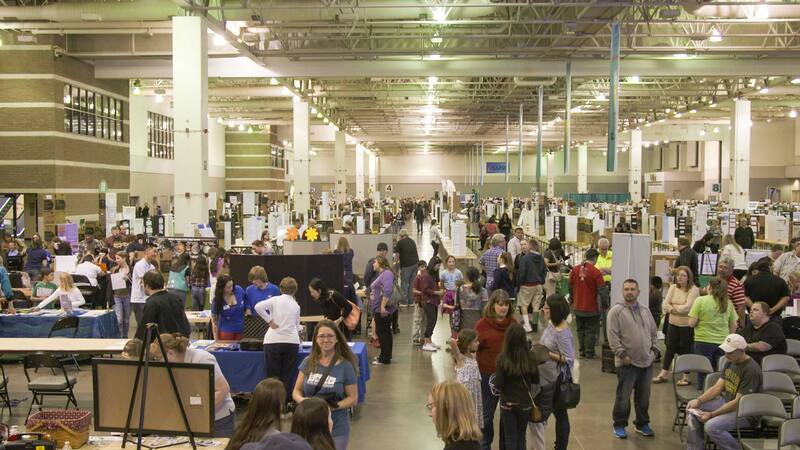 SARSEF, as it's called, is the largest science fair of its kind in the United States. Organizers said 95,000 students from Yuma to Casa Grande conducted research on real-life problems using scientific concepts. The top 2,100 projects will be on display at the Tucson Convention Center from Thursday to Saturday. That's a record number of entries. "The reason why we're so successful is because we're one of the few fairs in the world that start at kindergarten. And it's so crucial to catch kids early to let them know that they can do science and engineering at a young age before the stereotypes reach them," said Liz Baker, SARSEF deputy director. "We're not really teaching science and engineering when we're doing science and engineering projects. What we're teaching is a skillset of thinking: how to think critically, think creatively and solve problems," she said. The science fair organization provides $125,000 in scholarships, internships and awards to students, including kindergartners. 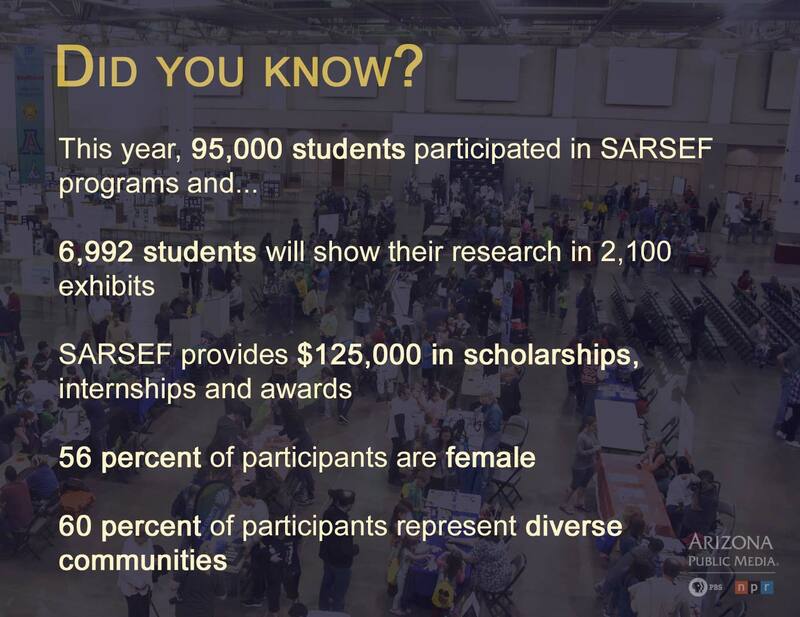 SARSEF is a nonprofit that counts on grants and contributions from companies, foundations and individuals, Baker said. The public can view the exhibits and participate in Future Innovators Night Friday from 5:30 to 8 p.m. More than 60 local organizations and companies will have hands-on projects and demonstrations for all ages. On Sunday, the Southern Arizona Rally for Science will be at Reid Park starting at 9 a.m. with speeches, science demonstrations and booths with activities for all ages, said organizer Josh Hoskinson, a University of Arizona graduate student. A year ago, communities across the country, including Tucson, held marches and rallies to encourage evidence-based science policies and initiatives from the Trump administration. This year is different, Hoskinson said. "What we want to do is sustained advocacy in education. It is our belief that science is crucial and important in our everyday lives and that if we educate the general public, then the politics will follow," he said. The rally's keynote speaker is theoretical physicist Brian Green from Columbia University. His books include "The Elegant Universe," "The Fabric of the Cosmos" and "The Hidden Reality." VIEW LARGER The Southern Arizona Research, Science and Engineering Foundation has been around for 63 years.